This is amazing I use this for an imaginary friend like from sims 3 because the sims 4 doesnt have it. If this succeeds, then we will have driven a stake through the metaphorical heart of pudding. Now also on Tumblr ! 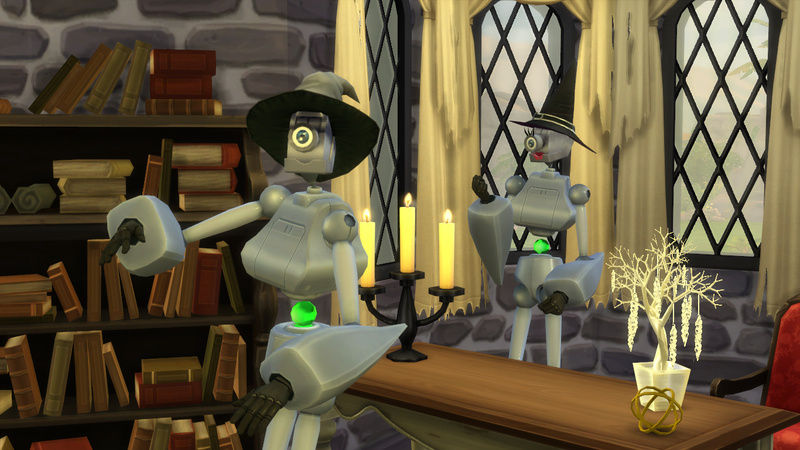 i loved servo im so happy it got put into sims 4 im so excited! I hope this is disabled for random though, but I have missed Servo! So, this is just a costume, essentially? Is there any way you can assign this 'servo' the duties of the maid? Ideally, it would be great to buy servo from buy mode and have like a butler, essentially, without having to pay weekly. Until we get actual robots, it's just a costume, yes. 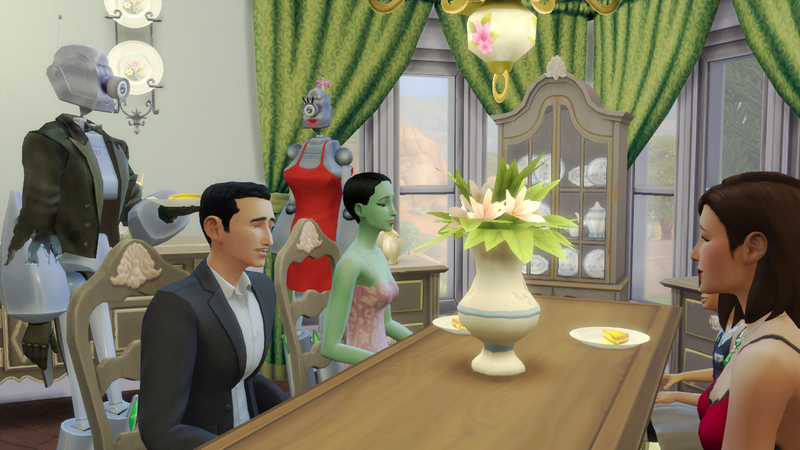 If you have Glamour Life Stuff, you can edit your butler in CAS and give him the costume - ditto for Maid, Gardener, Bartender, Nanny, etc in the Base Game. 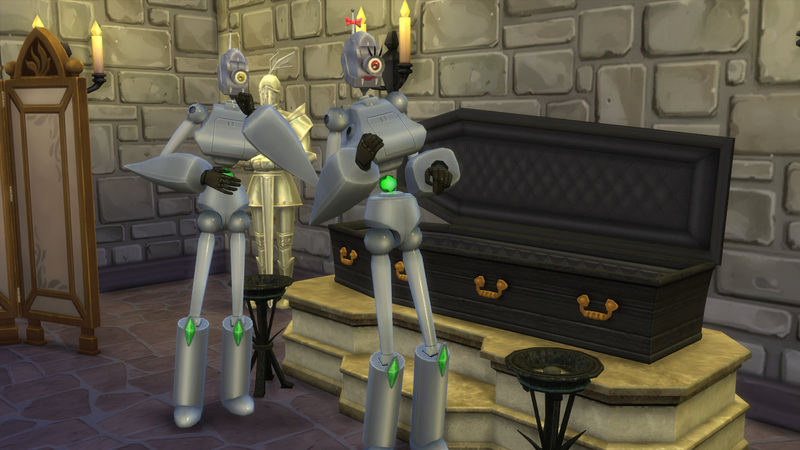 In one of the pictures on the thread you can see an NPC DJ that I assigned the Servo outfit to. 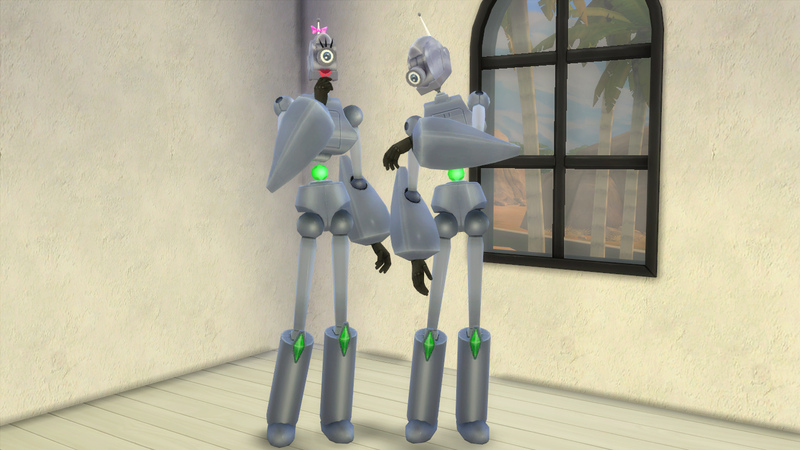 I could have made it a default uniform for butlers or maids in the game, but I imagine most people don't want all of their NPCs of any given type to be robots. Wow! Excellent work. Very impressive. Thank you so much for sharing! you are an inspiration darling, keep the greatness coming!